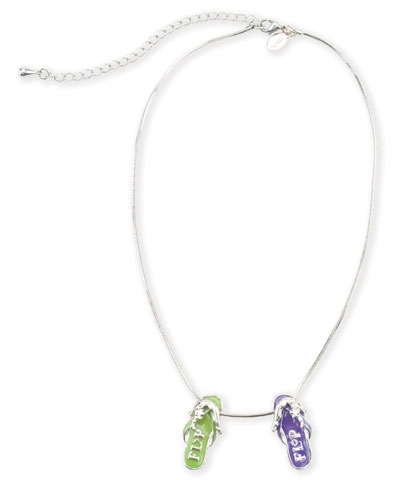 A set of three cloisonne Flip Flop pierced earrings in Lime Green, Purple and Aqua. Each features a gymnast performing a back handspring or Flip Flop. Change your color in the blink of a Flip Flop.